Anything that has a crack can eventually lead to breaking, and this also applies to a cracked tooth. A cracked tooth can be caused by several factors, and it should not be left untreated to prevent it from worsening. Avalon Dental Group offers different types of treatments that can help in the prevention and restoration of a cracked tooth. A dental filling in the process of restoring teeth back to its appearance and function primarily in the back teeth. The dentist would use a filling material that is directly applied to the affected tooth to prevent it from worsening. It uses a substance that resembles the natural color of the tooth making it a good option for fixing the crack without compromising the appearance. A dental bonding could also restore a crack tooth appearance and function like a filling, but it can be used in the front teeth instead. The bonding material is applied directly by molding and shaping to appear like a natural tooth. The substance used can also resemble the color of a natural tooth making it ideal for front teeth restoration. After molding, the dentist would then use a curing light to harden it and to secure the bond to the cracked teeth. A dental crown is a procedure that may require two dental visits; the affected tooth would be etched to the desired shape for the placement of the artificial crown. An impression of the tooth would be taken and sent to the laboratory. The dental crown provides the aesthetic and full function to a cracked tooth. The cracked tooth should not be left untreated since it can lead to a more serious dental complication that causes pain, discomfort, and cost. Proper dental hygiene, regular cleaning, and checkup can help in the diagnosis and prevention of cracked tooth and other dental problems. Suffering from tooth pain and discomfort when eating due to the cracked tooth? Contact us at Avalon Dental Group for your appointments, call (832) 500-3241. 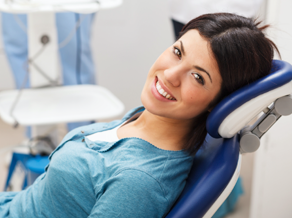 Our passionate team is ready to serve you with our Cracked tooth repair in Sugar Land, TX.